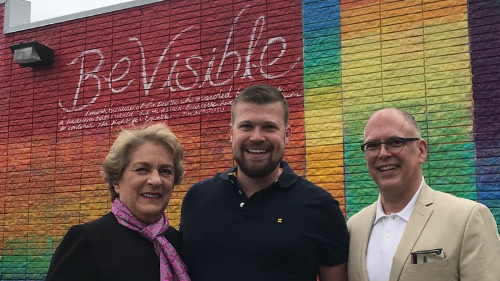 On April 12, HRC was in Houston for the unveiling of a new LGBTQ Pride wall to promote visibility for the LGBTQ community. 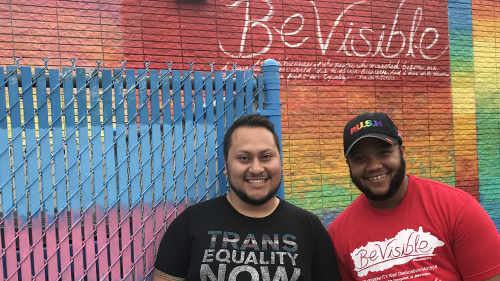 The #BeVisibleHTX wall is a collaboration between Eric Edward Schell, creator and photographer for Pride Portraits, his partner and local transgender rights activist Crimson Jordan, Houston artist-designer Hugo Perez and Jenni Tranweaver, owner of Jenni’s Noodle House. Tranweaver and her husband Scott will be honored at the 21st annual HRC Houston Gala on April 7 with the HRC Ally for Equality Award. HRC will also honor Karamo Brown, one of the ‘Fab 5’ in Netflix’s popular television series “Queer Eye.” Jussie Smollett (“Empire,” “Sum of My Music”) will present the HRC Visibility Award to Brown at the annual event. Currently, HRC has several field organizers in Texas to advance LGBTQ equality in the Lone Star State. HRC continues to work alongside Equality Texas, ACLU of Texas, Texas Freedom Network, the Transgender Education Network of Texas and others on the ground to battle against dangerous or harmful bills that attack the dignity of LGBTQ Texans. 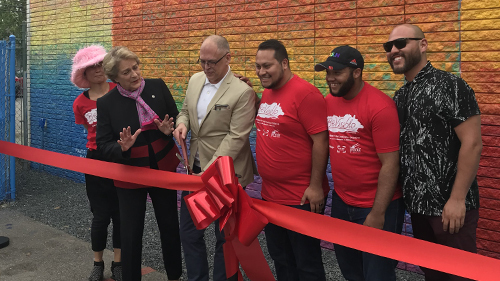 Jim Obergefell cuts the ribbon at the unveiling of the #BeVisibleHTX pride wall.